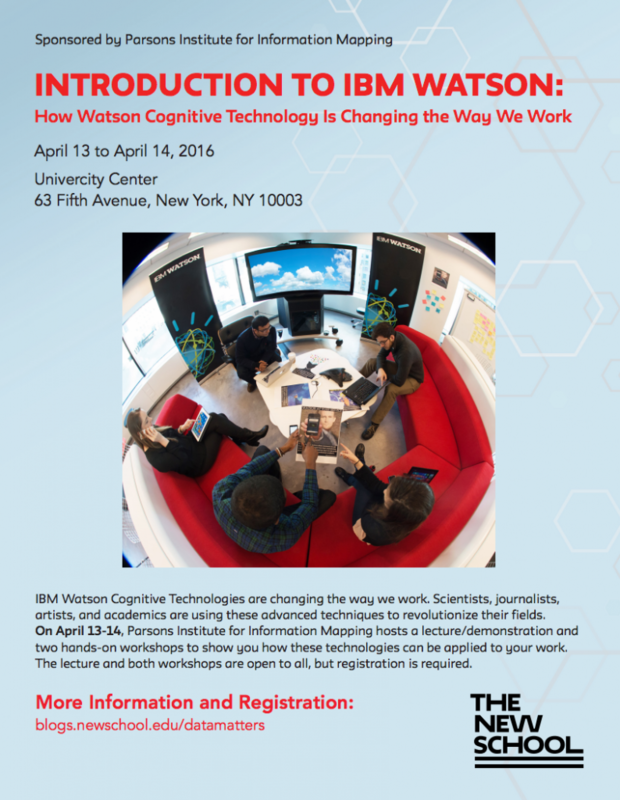 On April 13-14, the Parsons Institute for Information Mapping is pleased to welcome IBM Watson Group Academic Engagement Specialist Armen Pischdotchian for a a two-day demonstration/workshop on the IBM Watson cognitive technologies. Using natural language processing and machine learning to provide insights into large amounts of data, the Watson technologies are finding a home in a number of diverse fields, from medicine to retail. This hands-on workshop will introduce you to the Watson technologies and show you can bring them into your own work. The event is free, although space is limited. You are strongly encouraged to attend this introduction if you will be participating in either of the workshops.